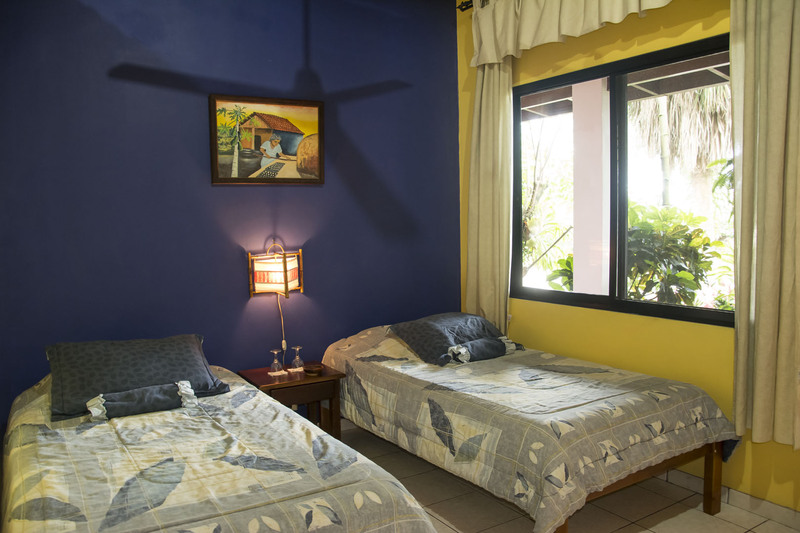 This charming room offers two twin beds with orthopedic mattresses air conditioning, ceiling fan, 21 “ Cable TV, free WIFI, safe deposit box, and private bathroom. 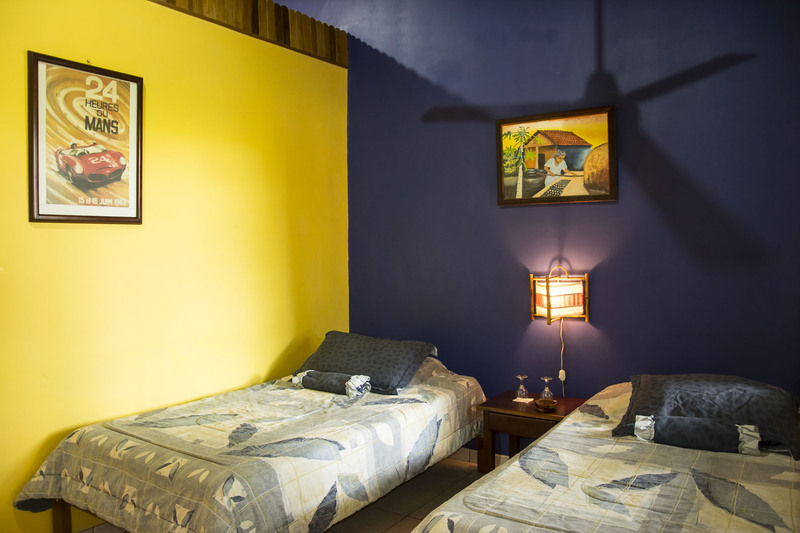 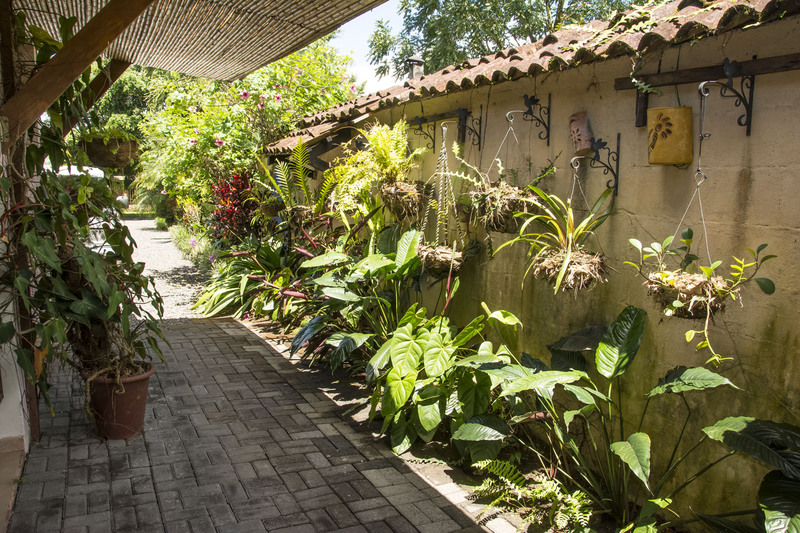 Its bright colors and distinctive art help create the true Central American atmosphere. 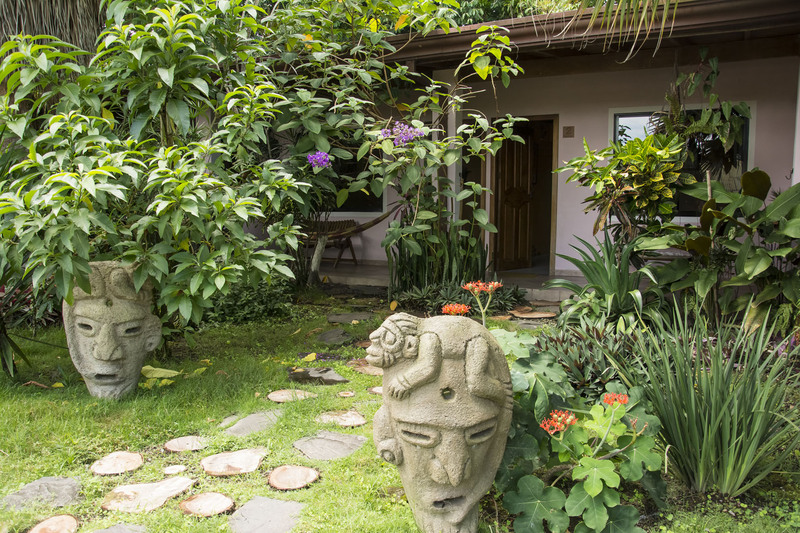 It is located across from the garden for a peaceful stay.